Curly or straight - dry or wet: The Flex Brush molds to the curvature of your head, detangling knotted hair and cleaning your scalp. The Flex Brush provides the perfect amount of pressure and stimulation, not hurting your scalp and not tearing at your hair like ridged brushes. The Flex Brush maintains direct contact with your scalp, easily detangling hair, flexing to release knots gently rather than tearing through the tangle. The Flex Brush massages your scalp and stimulates your capillaries, therefore increasing blood circulation in your scalp and transporting oxygen and nutrients to the hair stem, root and bulb. Our bristle is harvested humanly and sheared the same way wool is sheared. No harm to the animal. 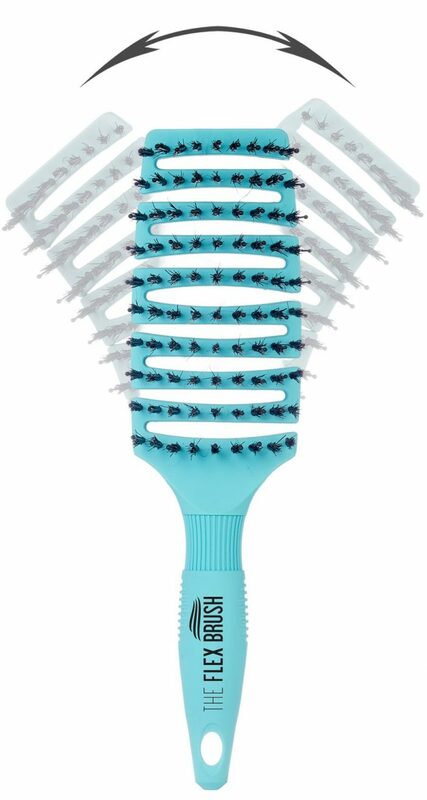 The Flex Brush sizes can be used on all hair lengths.